How can I achieve the minimum amount of latency with my Fender Fishman TriplePlay? Latency has always been an inherent issue when working with MIDI and digital audio. 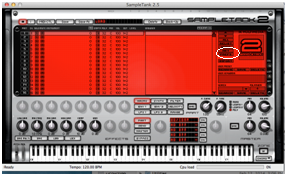 Latency is encountered when sending MIDI or audio data from your MIDI or Audio device to be processed when Triggering Sounds (Virtual Instruments), sound modules, digital effects or when recording audio. You will recognize it as a delay from the time you strike a note to be processed until you hear it trigger (MIDI) or play back (audio). Latency times vary based on system CPU, RAM, buffer size and sound cards, and are usually a large part this problem and solution. As long as data has to be processed in any way, there's always going to be an amount of latency. The question is, at what point does it become audibly noticeable to alter our playing/performance behavior. DRIVERS - Keep up-to-date with your soundcard/synth manufacturers' latest driver releases. 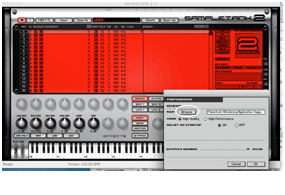 The TriplePlay software provides automatic notification for firmware and software updates. Third party software from IK Multimedia will require you to check on their site for updates. To check for updates with the Native Instruments software, launch the Service Center application and check for NI updates from there. CLOSE PROGRAMS - Minimize CPU and release RAM by closing down all unused programs running in the background. BUFFER SIZE - Set to lowest possible size with no noticeable audible artifacts. 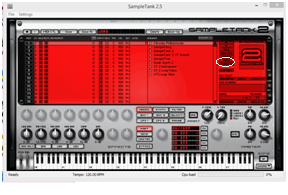 This is adjustable by going to the Options/Preferences window in the TriplePlay application, or by navigating to the audio preferences window in your DAW (digital audio workstation) software. Note: All of the above actions will significantly reduce latency. 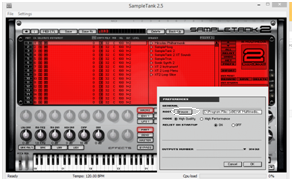 Problem - Where do I locate and load my sounds for the included software IK Multimedia SampleTank 2.5? Problem - What type of Battery does the Tripleplay use? Problem - What is the playing time of a Tripleplay battery? Problem - What is the distance from my computer will the Tripleplay work? Problem - How do I pair my Tripleplay controller and Receiver? Solution -Complete the procedure below before opening the TriplePlay software application. 4. Now the receiver LED glows continuously, indicating that it’s linked to your controller. The controller LED blinks once every five seconds, indicating that it’s transmitting to your receiver. 5. To temporarily break the connection, press either of the LED buttons. Both LEDs will resume blinking at their former faster rate. Press either LED button to reconnect. and reopened after the linking process is complete. Problem - What is the TriplePlay Warranty? Solution - The guitar is covered with a Limited Lifetime Warranty, with 1 Year of coverage on electronic components. In the event your unit needs servicing please contact your nearest Fender® Authorized Service Center for repair. Problem - If I buy a store’s demo unit, how do I get my own software registration codes? Solution - If the product is essentially a new unit that was used for demo purposes, the store should provide you with a new registration card at point of purcahse. Problem - I bought a used TriplePlay from a private party or from a retailer, how do I get software? Problem - I lost my USB receiver dongle, how do I get a new one?